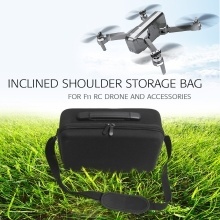 If you&apos;re looking for a bag for your drone F11, then it is the best one. With a lost of small sub-boxes in the front bag and the main bag, can store drone, remote controller, battery and other accessories. Can be as sling bag, shoulder bag or handbag.